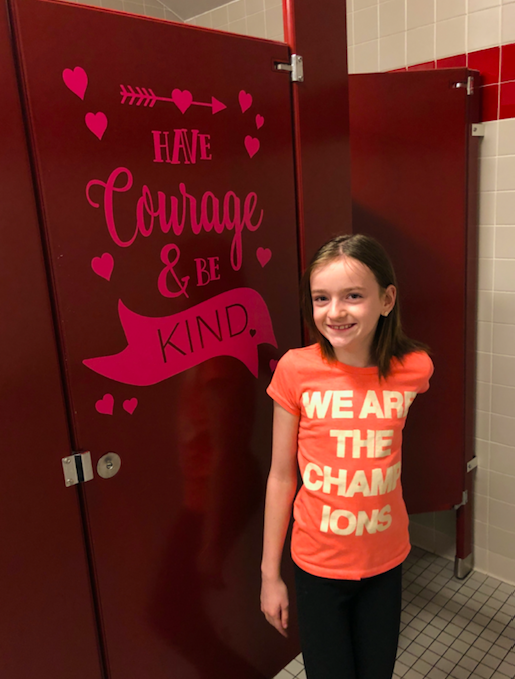 The Kindness Committee, as well as several students, took part this week in dressing up some of Roosevelt’s bathroom stalls as an initiative to promote kindness through art. 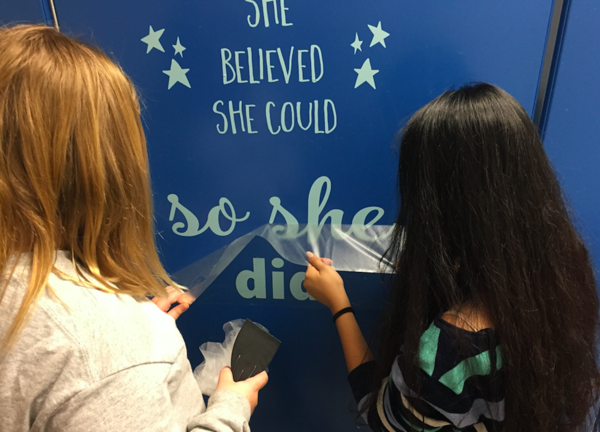 The reaction from the students who saw these inspiring messages was overwhelmingly positive! 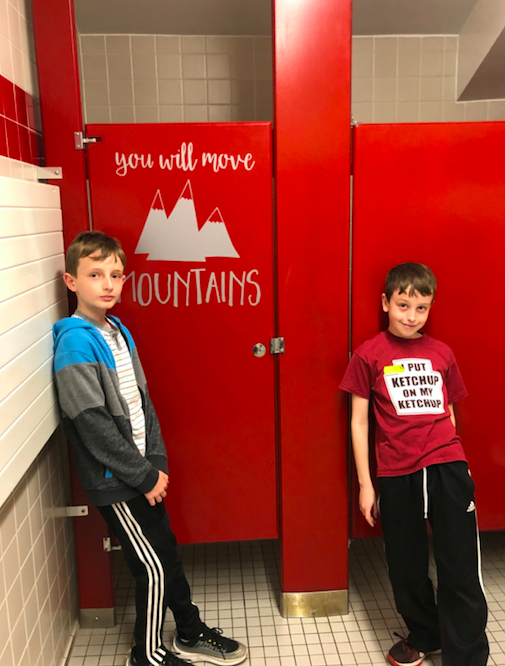 The school is communicating to students that they need to “Bee Respectful” with school property and the decals are a “no touch” zone. 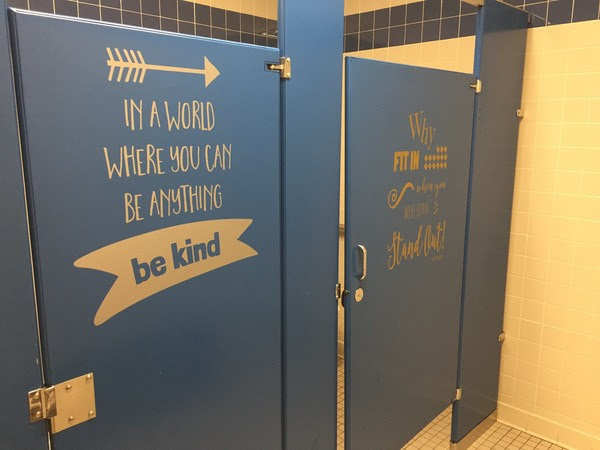 The committee will add more decal messages to all of the other stalls next month if there is no damage done to the ones put on this week.